Inspiring Bella Crafts: Challenge 15 Lots of Layers. It has been a bit , busy, busy like you as well I'm sure. The days are an absolute blurr, yard work, running with my daughter, house work still there are not enough hours in the day. 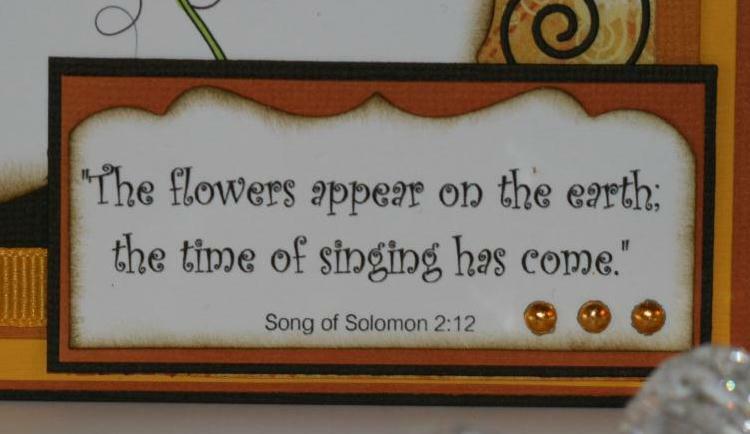 But now time to step up and get myself back on track with my cards and scrapbooking. I guess a balance with all that is what anyone needs. I am glad to see that you have popped back to check out my blog. This challenge this week at Whimsy is Lots of Layers. An easy enough challenge cause I love layers on a card, the dimension and the colors you can add, I also love matting. 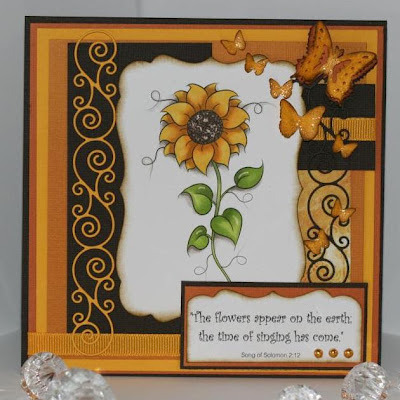 This card was made using a digital image from Whimsy Stamps called Pretty Petals from StampArt Design. I colored it with copic markers and tried to add a little shadow behind the leaves and the sunflower to help give it dimension. I hope that you will enter a card or project for this challenge, it's easy to enter and you could win free digital stamps that are easy to use and have some really great images from Whimsy Stamps. Click here to check out all the other DT's wonderful creation to help get you inspired to create a super cute card. Here is my inspiration card for this challenge Lots of Layers. I colored my image using copic markers. I used Y13, 15, 18, and Y26 for the sunflower. YG03, 05, 25, and YG 63 for the leaves. I added a bit of shading behind the image using W1,2 and 3. 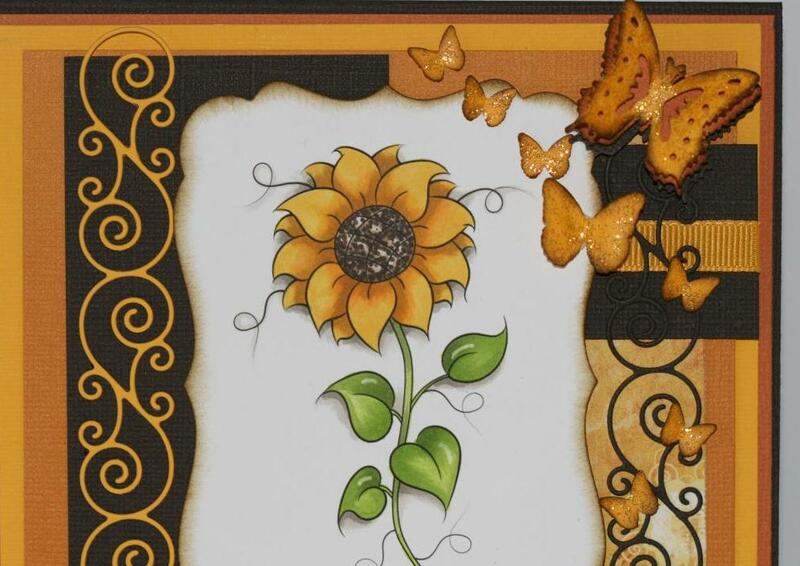 Supplies:Pretty Petals digital image from Whimsy Stamps, Copic markers, Bazzill cardstock, Karen Foster Summer Collage patterned paper, Memory Box Die cut - Valencia Border, Spellbinder Label Seventeen, Imaginisce studs, Ribbon, EK and Martha Stewart butterfly punches, distress ink, Ranger yellow stickles. Love it great challenge! Awesome image and sentiment! You knocked this one down my friend!!!! BAM! Awesome! TFS! Wtg!